In July I reviewed the Bart’s ‘Rosemary & Sandalwood‘ and ‘Amber & Moroccan Jasmine‘ beard oils. The oils were quite nice and I was looking forward to the scents, especially the Amber & Moroccan Jasmine however they were fragrance oils and the alcohol that the scents are in was quite strong and ruined the scents for me! So the owner of Bart’s sent me two of the oils that are scented with essential oils. Obviously they had to go into the queue and I have finally got round to using them. The first is the Bart’s Lime Beard Oil, it is a base of Fractionated Coconut Oil, Sweet Almond Oil & Argan Oil. Whilst it did leave my beard feeling slightly softer, it left my beard feeling dry. Now I know that may not make sense! “How can a beard feel soft and dry at the same time?”. I have a wirey beard, it can feel quite rough but with the right products it can feel softer and not dry, if I straighten my beard it just feels very soft and so it does take quite a bit more to groom a wirey and curly beard! The scent is just Lime, it is a very crisp and fresh scent, it is as they say what it says on the bottle! Now these are a budget beard oil, you get a big old 50ml for £7.99 and as the saying goes ‘You get what you pay for’ and I am very aware that many of these small batch oils that I recommend are pricey. If I wasn’t reviewing, well I wouldn’t be able to afford them and so that is where products like Bart’s Lime Beard Oil come in! I would much rather guys use an oil like this than the muck that is sold on the high street, they are filled with ingredients that most of us struggle to pronounce and that we shouldn’t be putting on our faces! So I gave the oil a score of 85 and that is because it is a good budget beard oil, I will always score a good budget beard oil higher than one that is very budget in feel but the slap a high price tag on it, no names mentioned! 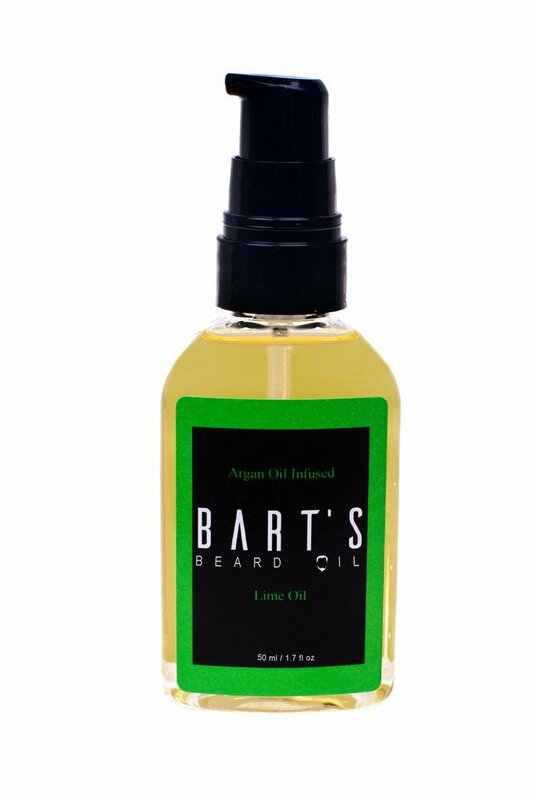 The 50ml Bart’s Lime Beard Oil as I said costs £7.99 from the website. The Bart’s Rosemary & Sandalwood Beard Oil comes in a 50ml plastic bottle with a pump top to dispense the oil and costs £7.99 from the website.